Your website is one of your company's most important resources for promoting your product and services. Use these tips and think critically when examining your website to ensure you're seeing optimal performance. If you've ever wondered if your website is performing as well as it could be, kudos. Great business owners, sales executives, and marketers are always measuring their efforts, so that means you're taking the right approach. You know you need a website, and you have one. But where do you go from there – how do you know if your website is as effective as it can be? Evaluate these four key components of your website's performance to determine if your site has what it takes to make it in 2019. The overall design of your website is as important part of its performance. Give it considerable thought well before development and launch. When designing your site, whether you're accomplishing this in-house or with an agency, think about the primary goal of your site. The website's objective should align with your company's overall business goals, which usually point to increased revenue. Whether that's accomplished by gaining more customers, selling more products or services, or something else, outline specifically what you need to reach these targets – visitors, leads, customers. Make it as easy as possible for visitors to determine who you are, what you do, and how your product or service can help them. Use striking and high-resolution images. Build in mechanisms to offer location-based and personalized content whenever possible. If you're in the e-commerce business, there's a bit more to consider. It goes without saying that the experience a user has when buying your products online is crucial. Is it easy to find your products within your site? Add them to a cart? Check out? Choose shipping options? Can you run sales and manage promo codes effortlessly? If you are buying a product online and get a great feeling from using another site, take note of what specifically contributed to that sentiment. All in all, make the goal of your site crystal clear for anyone who visits and optimize the user experience. "Tech stack" refers to the IT systems and programs that provide the infrastructure for your website. Do not overlook components like your hosting, content management system (CMS), SSL certificate, back ups, and security. Issues with your tech stack can impact your visitors' – and staff – user experience. Who is the site administrator – was the site developed in-house or through an agency? Do you have the expertise within your organization to develop and maintain a successful site? Or, would you be better suited to hand off development and maintain your site after it's complete? How old is the site? From the optics to the functionality, does it "feel" up to date or not? What are the issues your team experiences now? Can you solve these in-house or do you need a consultant to help you manage them? If you're experiencing the same recurring issues, take a look under the hood. Your tech stack may be the issue. Examine how you developed the site, or consult with who did, to determine the fixes needed moving forward. Below, we've highlighted essential technical components you can use to evaluate the effectiveness of your website's performance. How quickly your website loads can make the difference between closing a sale and losing a customer. According to Forbes, 40% of users are likely to abandon a site that doesn't load within three seconds or less. Google even analyzes your page's load speed and factors it into your site's web search ranking. How fast does your site load? Test your website's load time. If it is too slow, look at ways to increase your speed. Your web hosting plan needs to run through a reliable provider. When selecting a provider, consider the speed, security, and level of support you need. If you're a local business, scalability is probably not a concern, but if you're an entrepreneur building the next great business of our time, you'll need to be able to handle high bursts of traffic. Also think through how much help you'll need; if you need more responsive customer support, make sure you purchase a plan that includes that. Your website's security is crucial to building customer comfort and trust. SSL stands for Secure Sockets Layer and is the standard security technology for establishing an encrypted link between a web server and a browser. This link safeguards all data passed between the web server and browsers. Think about when you enter a password, credit card number or other sensitive data; a SSL certificate makes sure it remains private. 84% of people will not make a purchase if they are dealing with an unsecured website, and in 2017 Google began flagging sites without SSL and penalizing their search ranking. All in all, outfit your site with an SSL certificate. Evaluating your website's platform is a major component of measuring its performance. Consider if the platform includes robust features to assist site maintenance or if it requires additional plugins or software to maintain functionality. Are you using a free platform such as WordPress, Wix, and Squarespace or a paid service? More robust services such as HubSpot will require an enhanced budget to match the additional services provided, but can save you time in the long run. Additionally, as you determine whether a free or paid platform is right for your website, also consider the level of support you will receive. When developing your website and content, keep search engine optimization (SEO) front and center. This allows visitors conducting internet searches for key terms associated with your product or service to find your site more easily. What type of customer service support does your platform provide, for both you and your customers? Are there mechanisms in place (FAQ guides, caller support, live chat) in place to assist with troubleshooting? Are you using a free provider or a high quality paid content management system that makes it simpler to resolve existing issues? Mobile now represents almost 7 in 10 digital media minutes, with smartphone apps alone accounting for half of all digital time spent. If your site isn't mobile friendly, it also has a negative impact on SEO. Evaluate how easy it is for your customers to get in touch with you via your site. This is critical, as communication between you and your customers eventually leads to sales. Do you have the ability to back up your website and data? How easy is it to use the individual components of your website? Does a developer have to make all updates, or can a marketer make simple front end changes once the site is developed? How much time do you dedicate each week to regular maintenance? Do you have additional capabilities such as managing an event calendar, a customer-relationship management (CRM) tool, online bookings, payments, and submission forms? We're just scratching the surface here. Overall, make sure the platform you choose includes the features needed to bring in the business you want. Your website content plays a major role in your company's digital marketing strategy. Do you have the capability to write, edit, and post blogs? Can you easily change, update, and add new content? Can you personalize content based on a visitor's previous interactions with your site? Can you easily provide content offers to your customers visiting the website? Are you tracking the metrics on your content to ensure its relevance? In what ways do you gauge how your content is resonating with your audience? Ensure your website has the capabilities needed to be a content marketing machine. Marketing automation refers to the software that exists with the goal of automating marketing actions. At its best, marketing automation is a combination of software and tactics that allow businesses to nurture prospects with highly personalized, practical content that helps convert prospects to customers. This type of marketing typically leads to significant new revenue for companies, and provides an excellent return on the investment. As you're assessing your website, think through if you're able to set up activities like drip email campaigns, landing pages, social media updates, and more. Do they live all in one place? Or on a myriad set of services? Automating your marketing needs helps you streamline the processes that make your website a true lead generation tool. Evaluate if marketing automation is important to your company, and if you have the capabilities and staff to run these activities. Finally, how easy is it to find out if your website is working as expected? (Are you even checking?) You'll want to know if your website is functioning from a technical standpoint (downtime, load time, and more) and performing from a business perspective (information on visitors and their activities such as views, downloads, purchases, just to name a few metrics.) Viewing reporting should be a seamless process. Does your website rely on free tools such as Google Analytics or use a paid service such as DataBox? Depending on your business goals and site capabilities, free reporting tools may get the job done. If you're looking for more comprehensive reporting or to tie multiple sources together, then you may need a paid service. The investment is often worth the ease of use and automated functionality. All in all, make sure you're able to access easy to understand reports on your website to get a sense of where traffic is coming from and if that traffic is converting to customers. Then, use that data to adjust your site and marketing activities accordingly. 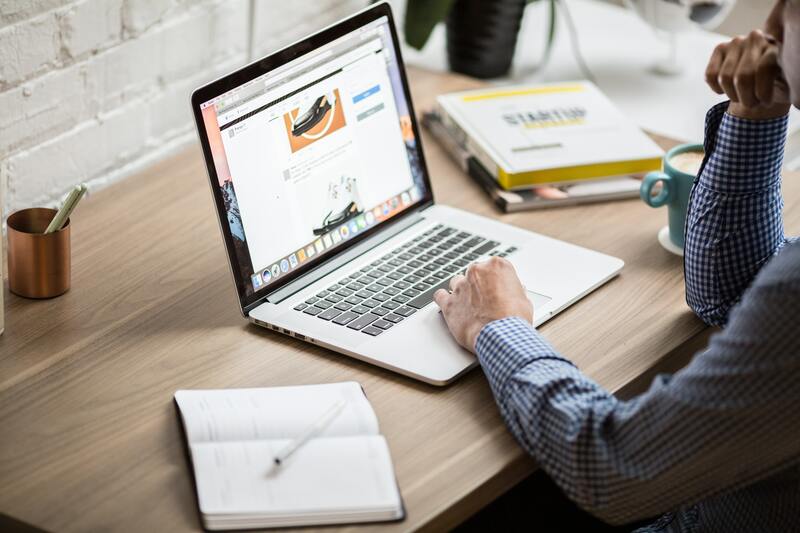 Your website is one of your company's most important resources for promoting your product and services, highlighting your strengths, and ultimately, closing sales and retaining customers for future business. Take a look at your design, tech stack, marketing automation capabilities, and reporting. Use these tips and think critically when examining your website to ensure you're seeing optimal performance. For more information on how to take your marketing to the next level, take a look at previous blog posts.